Age-inclusive Communities – JustPartners, Inc.
Based on the synergistic intergenerational approach showcased in the original Viable Futures Toolkit, we provide more concrete guidance for communities to plan for the aging population during tight times in ways that benefit all generations. 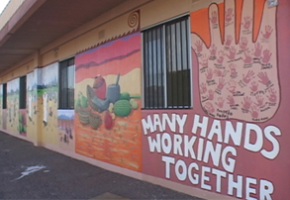 These ideas can be adapted for all kinds of communities. Not New, But Worth Revisiting Now! Provides concrete guidance for planning, policy-making, and programming to plan for an aging population in ways that benefit all generations. 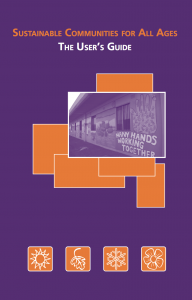 Toolkit includes a workbook; community checklist; issue briefs on health, housing, lifelong learning, land use, transportation, and more; tips for coalition building, a guide for resource development, and a user’s guide. Bring allies to the table! The training guide gives you a systematic approach to help others understand the point of view of the Viable Futures materials and how to use them most effectively in your own community. 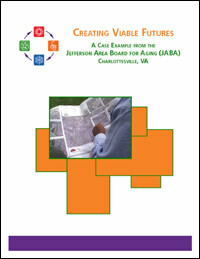 A Case Study of the Jefferson Area Board for Aging, Charlottesville, VA, the focus is on how an Area Agency on Aging employs the point of view of the Viable Futures Toolkit to better the lives of children, youth, and families over the course of fulfilling its mission to serve elders in the community. Shows how the New Columbia neighborhood used the Viable Futures Toolkit, step-by-step, to build a more cohesive community amidst a collection of new houses whose residents come from 22 different countries. Reveals 12 key lessons that communities piloting the Viable Futures Toolkit and its point of view learned in the process of their work. This study allows you to learn from the steps of pioneers and hear about what they’d do differently next time.